Amazon is going green … in a good way. In addition to those traditional environmentally friendly and sustainable practices, they are specifically seeking third party merchants that can serve their customer base. 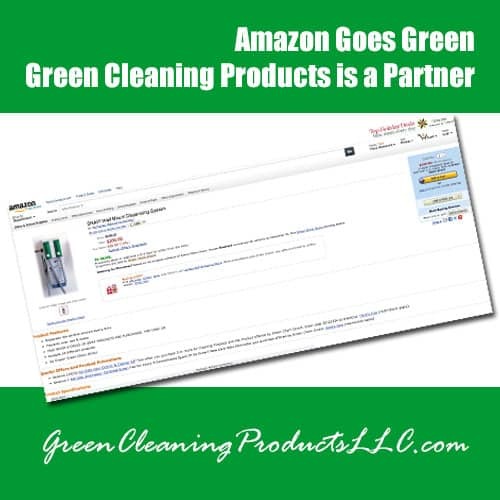 For instance after extensive research and analysis against stringent criteria, Amazon has found and personally invited Green Cleaning Products LLC to become a partner and list their environmentally friendly cleaning products on Amazon! Amazon is the largest online retail store on the web. In less than 20 years, Amazon has grown from a tiny start up operating on second hand computers in a garage focusing on book sales to being a global company today with 180 million customers and a dozen major retail websites focusing on anything and everything you want to buy. (Check out their logotype. It is an arrow leading from A to Z, representing that they carry every product from A to Z.) Although you may not know it, Amazon owns such big names as Zappos.com, IMDB, Woot, Vine.com and LOVEFiLM. In total Amazon accounts for about a third of all ecommerce sales in the USA. 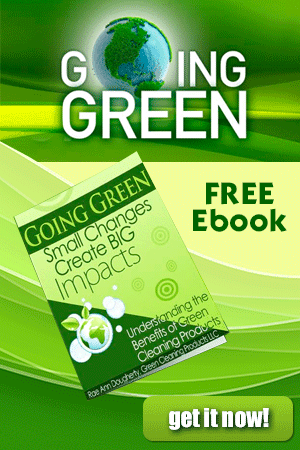 It is a huge honor for Green Cleaning Products to become a part of this massive retailer. Frustration-Free Packaging Initiative: Amazon led the practice of easy-to-open cardboard boxes in replacement of multiple boxes and clear plastic nightmares for toys and electronics. Memory cards, for example, are often sold in disproportionately large clear plastic packaging to prevent shoplifting at physical stores. For an online retail store, however, this is not necessary and eliminating the bulky plastic is more sustainable. Amazon started with 19 products from Microsoft, Fisher-Price, Mattel, and Transcend. For example, the memory cards from Transcend when bought through Amazon are shipped in a recycled cardboard envelope. Through this sustainable and environmentally friendly practice, they are trying to get manufacturers to adopt similar frustration-free packaging that gets rid of plastic cases and air-bubble wrap… Not only is this more user-friendly, it also is more sustainable as fewer packing materials are used resulting in a smaller footprint. Better Paper for People and Planet Promotion: A diverse range of magazines that print on post-consumer recycled paper are featured. Amazon has extended premium placement and unique pages on their sites to highlight and promote 28 magazines that use recycled paper, including, Shape, Mother Jones, ReadyMade, Body + Soul, Nickelodeon, Make, Natural Home and Everyday with Rachel Ray. Amazon created a special “Recycled Paper Magazines” category for you. 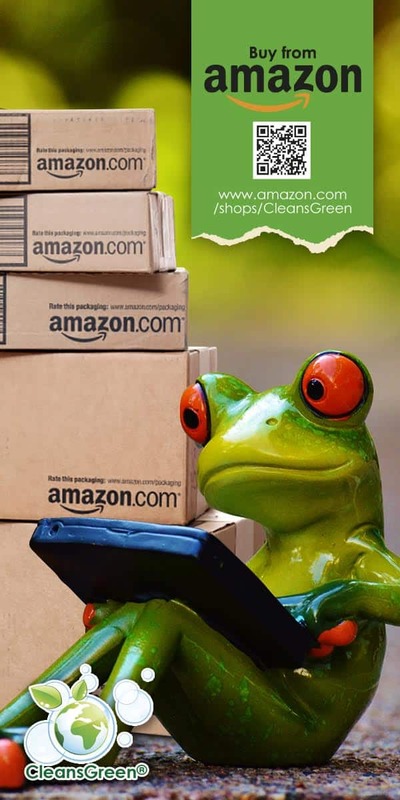 Additionally, Amazon has created a cross-category program that includes a list of products that are the best green products offered by Amazon.com. It is a place for customers to discover the green product selection offered on Amazon. For instance searching for “Environmentally Friendly Cleaning Products” will bring up the products offered by Green Cleaning Products LLC. 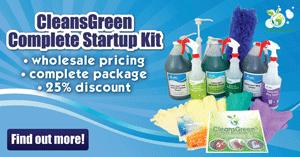 Alternatively going directly to www.amazon.com/shops/cleansgreen will provide you the storefront of Green Cleaning Products.